The original - and naked - 1975 GL1000 Goldwing set the benchmark for the breed, with its horizontally opposed four-cylinder engine and cruising form. Quickly becoming the definitive touring motorcycle thanks to a turbine-smooth power delivery and mile-munching ability, Honda's Goldwing is known by many as the world's greatest touring motorcycle and is now celebrating 40 years of production. 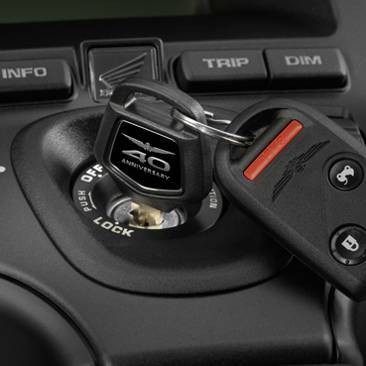 The Valkyrie has proven itself as a staple in the Goldwing family and as part of the 40th Anniversary celebrations will be released with a commemorative key. The Valkyrie's bold look is chiselled and purposeful, flowing organically from the solid front quarter to the strong, burly rear. Dynamic when required and chilled-out when not, Honda's Valkyrie has a show stopping presence. 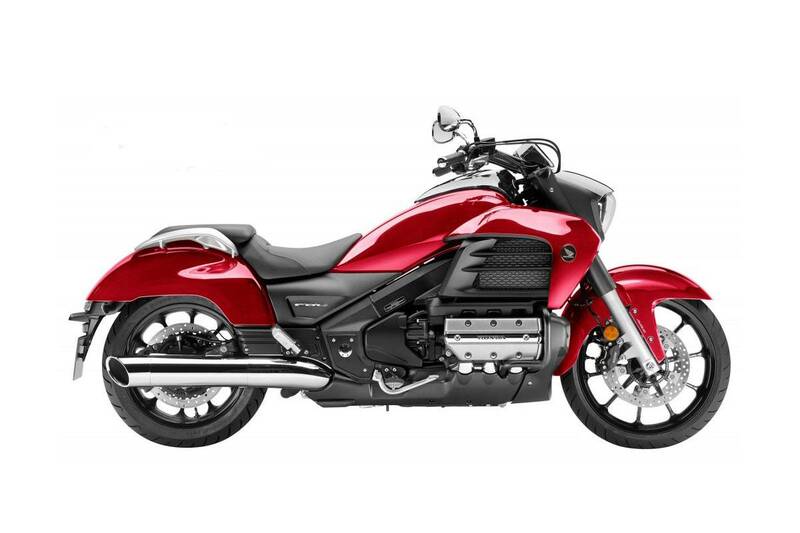 Sharing the engine and chassis with the Honda Goldwing, the Valkyrie is an unforgettable custom cruiser. This power cruiser has been given an appropriate esteem with an engine providing a rush of acceleration at a split-second's notice along with unforgettable drive from low rpm in top gear and super-smooth throttle response everywhere in the rev-range. The Valkyrie utilises Honda's legendary 1,800cc, horizontally opposed SOHC, two-valve, six-cylinder engine which is fed by PGM-FI controlled fuel-injection with twin 40mm Keihin throttle bodies and a Valkyrie-specific 6.6-litre airbox and panel-type air filter. The five-speed gearbox, which employs 5th as very much an overdrive for relaxed cruising, delivers the engine's torque via shaft drive. The hydraulic clutch lever's pull ratio has been revised to offer a lighter action for stress-free operation. Employing the bare minimum of chassis needed to house the Valkyrie's mighty engine, the chassis is constructed from lightweight multi-box aluminium sections. The twin-spar frame is aided by the engine's low centre of gravity to create superbly balanced handling at all speeds. A new aluminium subframe lowers the Valkyrie's rear and offers easy ground reach from the comfortable, carefully shaped seat thus enhancing rider confidence at standstill. The Honda Multi-Action System (HMAS) monoshock with manually adjusted spring preload works through a Pro-Link on the single-sided aluminium swingarm. Spring and damping rates front and rear have been modified to suit the Valkyrie's weight reduction and urban cruiser intent. The combination of stretched out steering geometry with wide, rubber-mounted swept-back handlebars ensure excellent control with improved rider feel through the chassis. To further improve stability the front/rear weight bias has been adjusted to be more even, while the engine support beam's rigidity balance has also been slightly altered. A Dual Combined Anit-Lock Braking System (ABS) ensures the Valkyrie provides rapid and secure stopping power on all road surfaces and conditions.